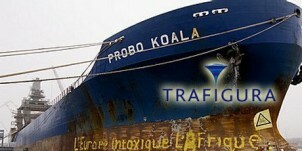 The story of Trafigura in Abidjan is well on its way to the darker side of the history books, somewhere alongside Union Carbide in Bhopal, Shell in Nigeria and Chevron in Ecuador. A big company doing a big crime affecting tens of thousands of mainly poor people in a country in the South – all the while managing to escape from really facing justice. In EJOLT we are constantly reporting and acting on such cases and we have made a report on industrial waste using other case studies – but our conclusion that the international legal framework on toxic waste is totally insufficient to face up to reality is echoed in this amazingly detailed report of 231 pages, from Amnesty and Greenpeace, on the Trafigura incident in Abidjan in 2006 – and the aftermath. In a shocking story of corporate crime and environmental injustice, Amnesty and Greenpeace joined forced to investigate what went wrong then and afterwards and to write on the human tragedies caused by the British company Trafigura to the people of Abidjan (Côte d’Ivoire). Toxic waste was illegally exported from Europe, illegally brought into Abidjan, and illegally dumped there – in a profitable case that – even more shocking – has seen no justice until today. The UK company has not even been investigated by the UK authorities and for the more than 100.000 victims in Abidja, justice seems very remote. Fortunately, some journalists in the UK are keeping the pressure high and we can only hope that a public outcry and a real investigation will follow – as a forebode to justice for the victims. Apart from feeling outraged, how do people help? You don’t mention any course of action that we could take. Any citizen can create an AVAAZ petition, send emails to journalists, organise demonstrations. Unfortunatly, justice needs a long fight by a group of very engaged citizens that have no guarantee whatsoever that justice will be served one day.